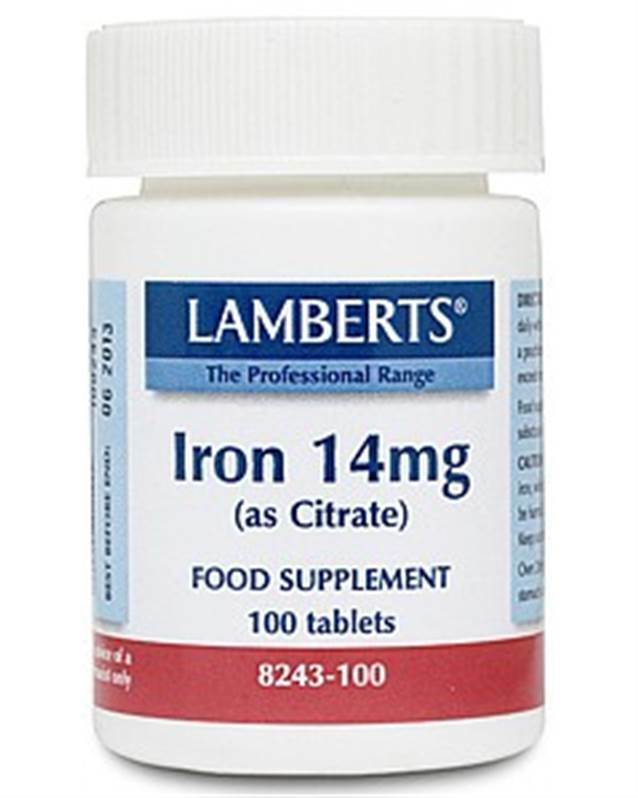 Lamberts Iron 14mg (as citrate) acts with protein and copper to make haemoglobin, the oxygen-carrying component of red blood cells. Good for women of childbearing age. Iron is basic to all life processes, since without it oxygen cannot be transported round our bodies. It is also a component of enzymes and proteins and is needed for the metabolism of B vitamins. Yet scarily, dietary deficiency of iron is the most prevalent mineral deficiency in the world today according to World Health Organisation sources. All ages and both sexes are at risk, but especially women of child-bearing age. In the UK official data shows that 89% of young women have a daily intake of iron which is less than the RNI of 14.8mg. This reflects the move towards vegetarian diets and declining intakes of red meat. This product presents iron as a citrate to aid its absorption and utilisation and there have been very few reports of the constipation problems that can be caused by ferrous sulphate supplements. This is important as patient compliance is essential when supplementing with iron since replenishing depleted iron stores can take several months. Each tablet provides a full 14mg of iron (as citrate) which is the recommended daily amount. This iron product is suitable for vegetarians and is produced in premises that operate to stringent pharmaceutical standards of GMP. A beige speckled clear coated round tablet.